These little guys lived around our house in Port Orchard. They are about the size of the tip of your little finger. A very interesting shot. Thanks for sharing! Awww! So cute! 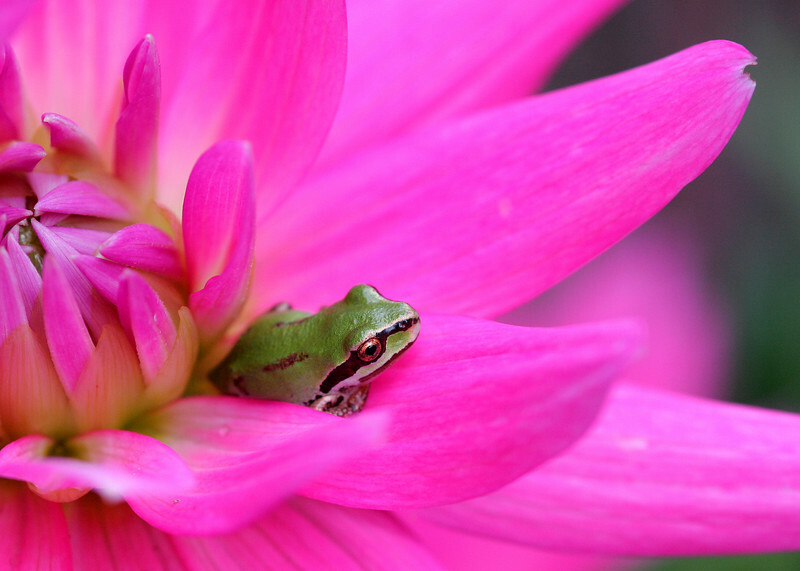 This teeny little froggy guy in the middle of this giant flower. Adorable, what a lucky capture.